Ah, beach memories! 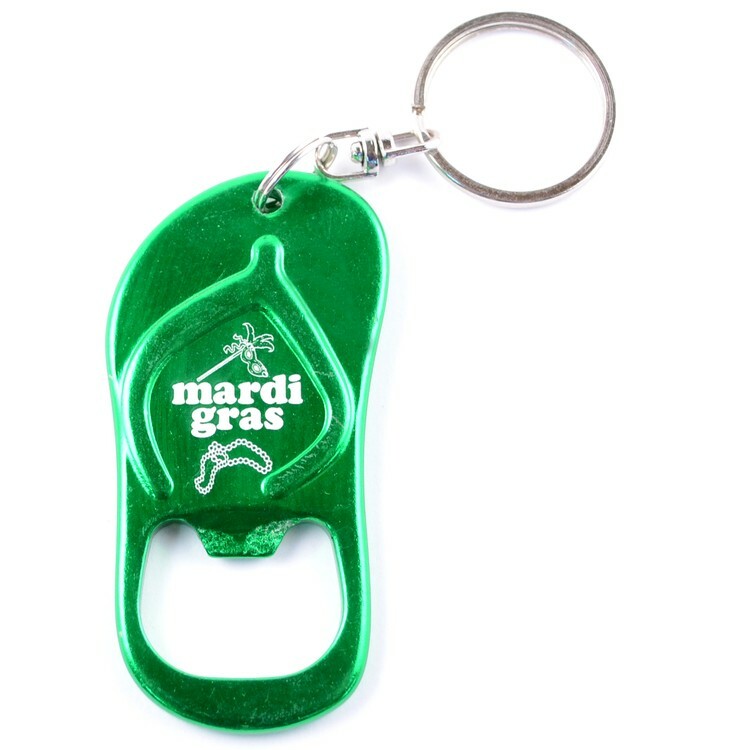 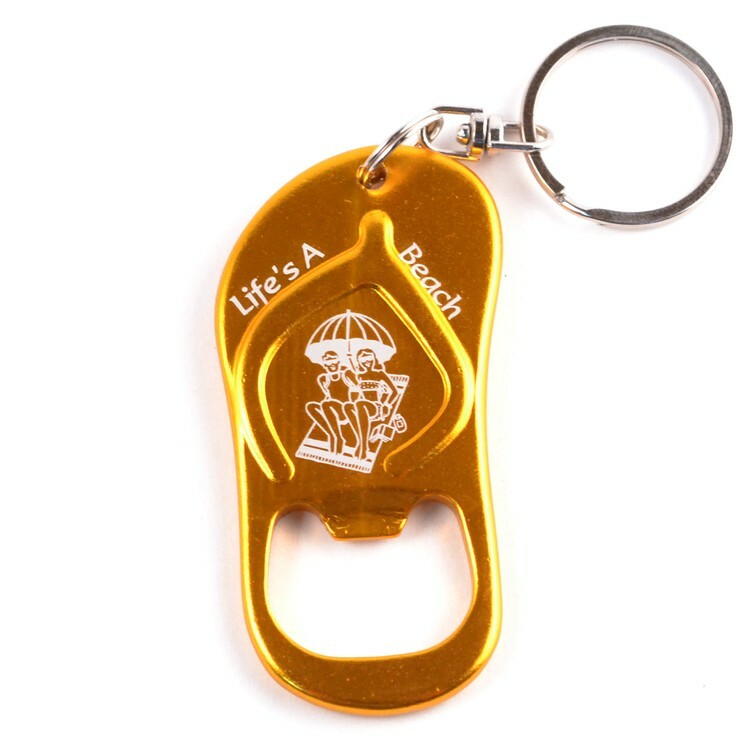 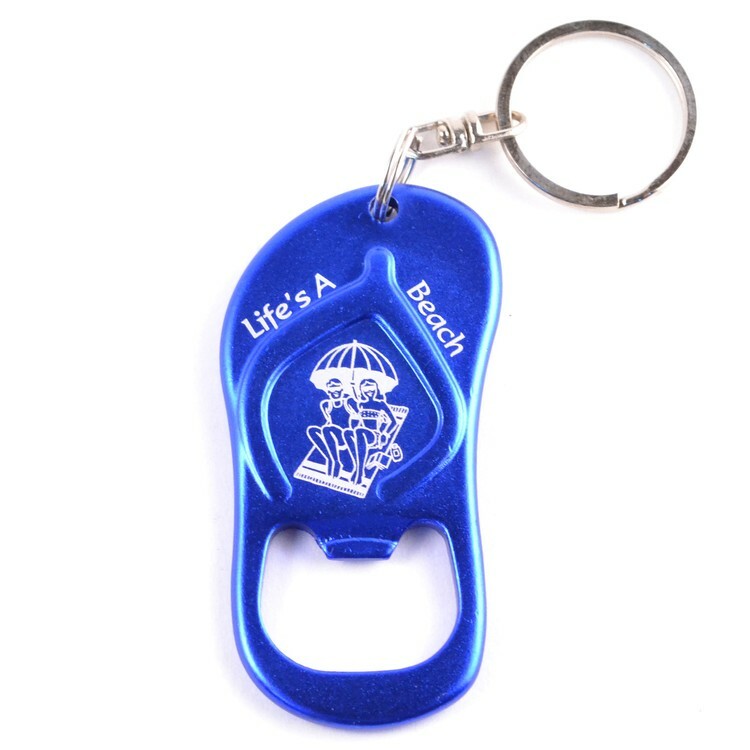 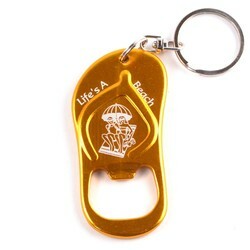 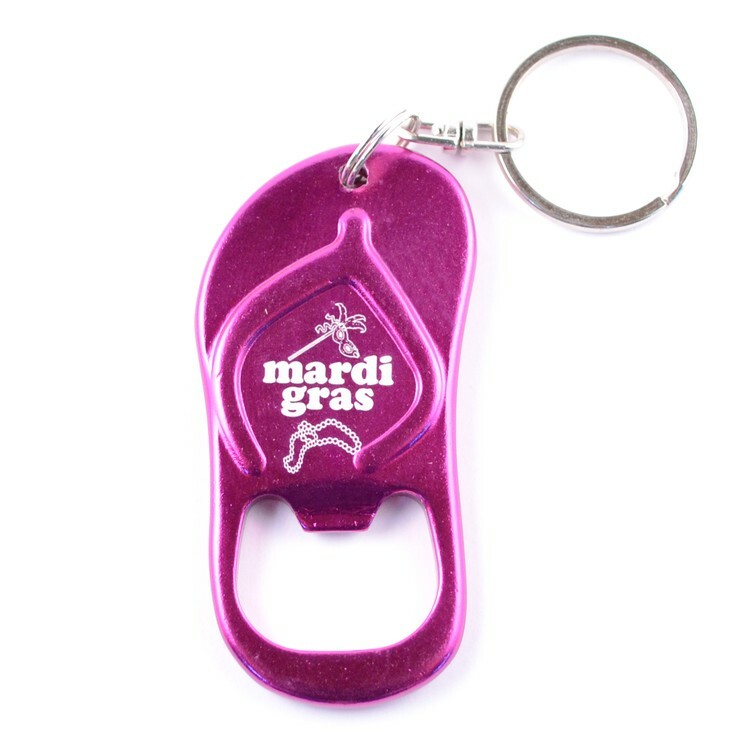 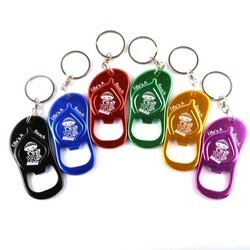 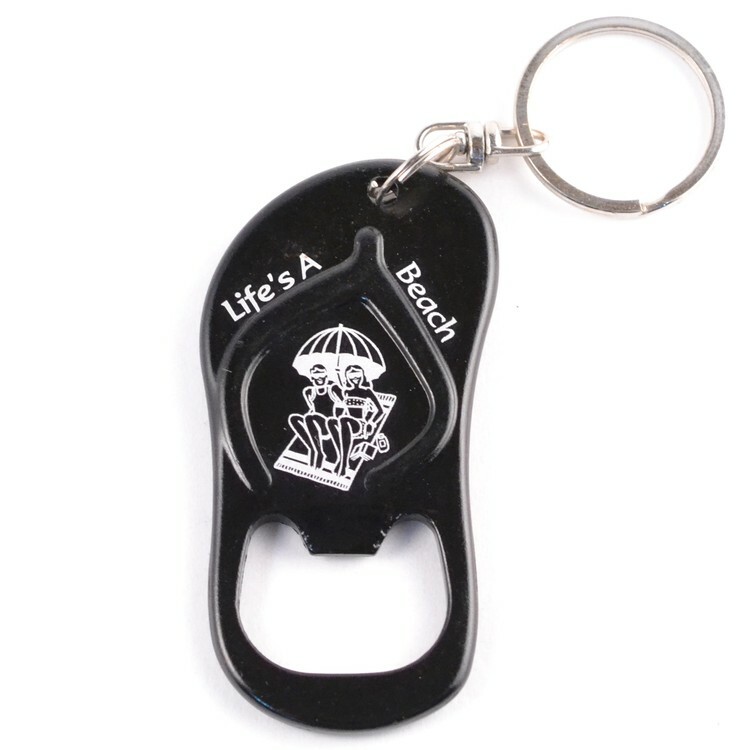 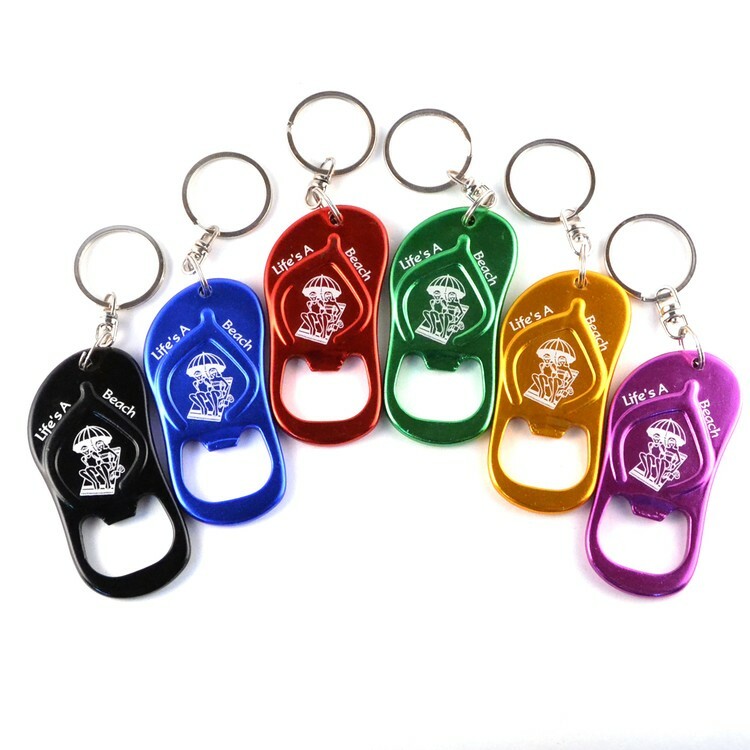 Perfect for school reunions and vacation destination promotions, this flip flop key chain / bottle opener recreates a memorable gift when personalized with a message and color. 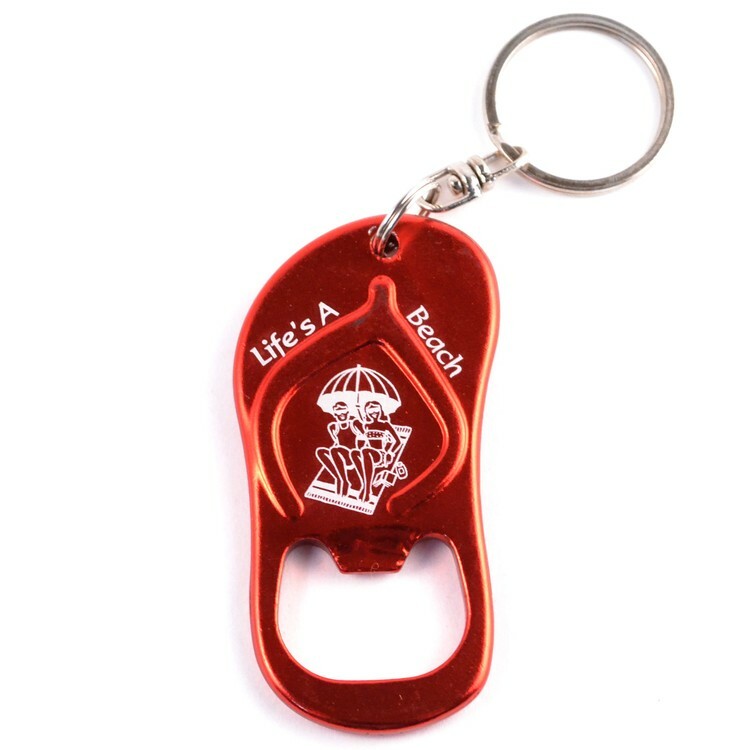 Include a QR code for even more impact.